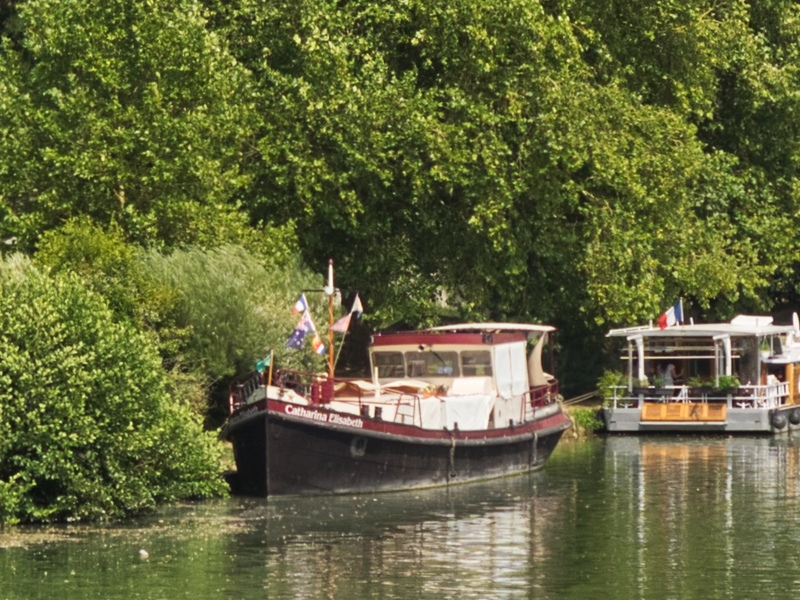 A Barge – in France? 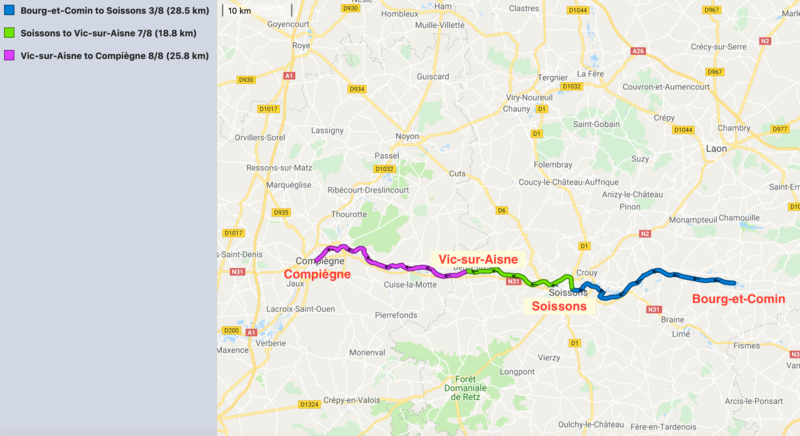 We didn’t want to rush to Compiègne and our DBA waterways guide marked Vic-sur-Aisne as a convenient and well-provisioned (free power and water) mooring. Here’s a map of the three cruises – the previous one, this one and the next we would take to Compiègne. At the end of a pleasant, sunny cruise we moored up well before midday. Eventually, there were three boats at the mooring – Catharina Elisabeth, a large French barge that we called the Garden Boat (it was covered with plants and flowers – beautifully maintained) which we had been cruising with since joining the Aisne and would meet several more times in the coming days, and a steel cruiser, Sundance. Also with us was a collection of trailers from a travelling circus or fair that were resting in the area. 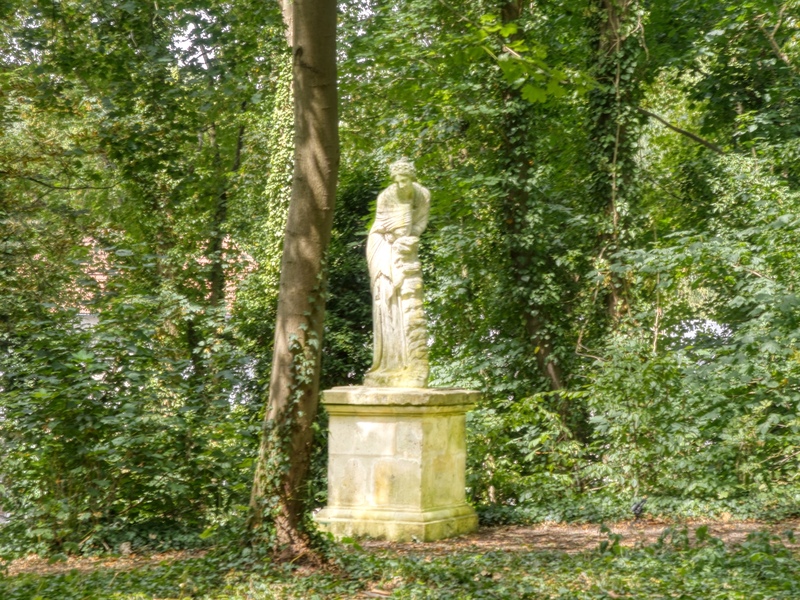 They were no bother – we couldn’t even see them from Catharina. It was still hot and you might be able to see in this picture the covers on the salon windows, the wheelhouse and some less well-secured shade material on the Bimini. We lifted off the bikes and set off to explore. A castle was reputed to be about. Just as well that the batteries were on both bikes because there was a steep climb up to the centre of the village. There we saw a striking donjon (castle keep) and an associated château. We had a look around to see how to get in to visit it, but there were no indications that it was open for tourists. Just as we were saddling up to leave, a woman opened the gate and addressed us in English asking us if we wanted to see the keep and the château. She must have heard us conversing and good-heartedly decided to invite us in. 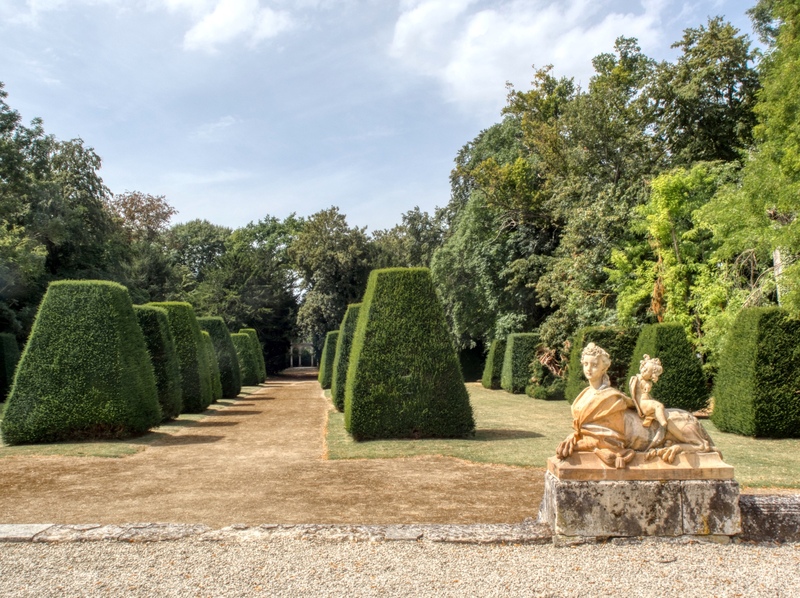 It turns out the buildings and grounds are only open for special events – so we were very lucky again! 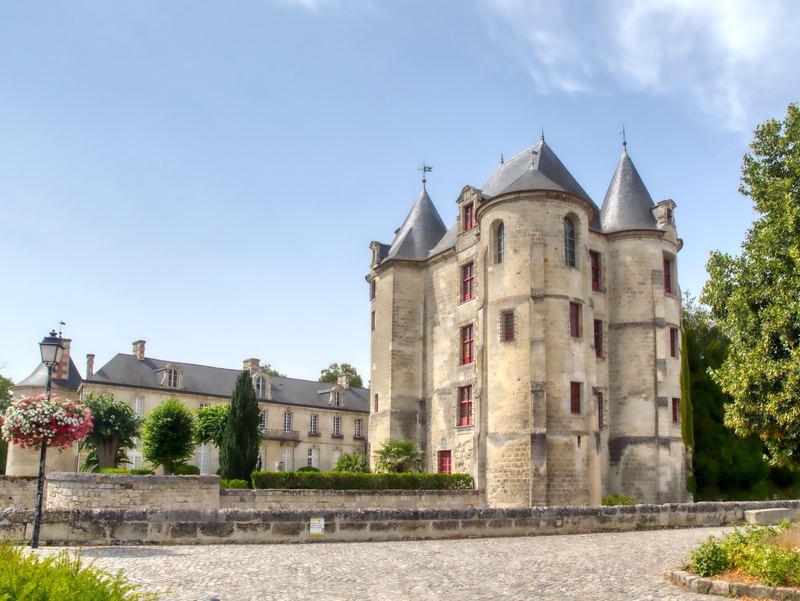 She opened the door to the donjon and said that she would leave the doors to the château open and we should come in once we had explored the keep. Then she left us to our own devices. The original keep was built of wood in the 8th century and was instrumental in defending the region from invasion by the Normans (Vikings). It was rebuilt in stone during the 12th century and remained fortified until the 15th when it was converted into a residence. 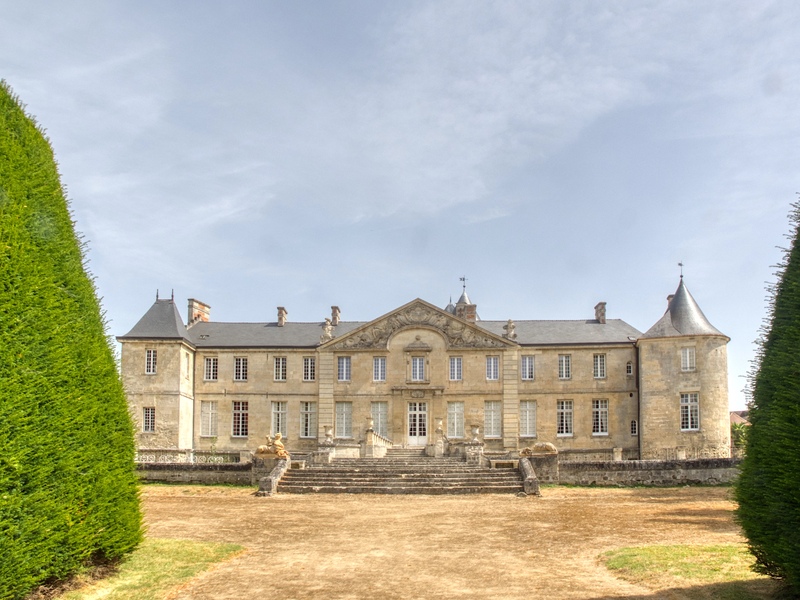 The château was built as a residence in the 17th century and was occupied by various bishops up until the first world war. The buildings escaped with little damage from both world wars but were sacked each time. The current owners are trying to restore and improve the site – just a husband and wife – with a little hired help. 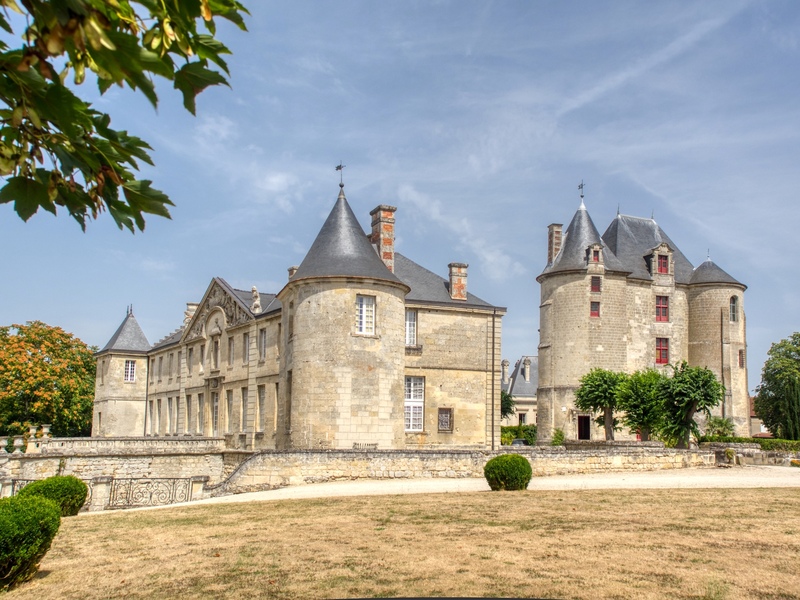 To fund this, they offer up both the château and the donjon for events (such as weddings and meetings) for hire. The donjon has three towers (one of which provides the stairs to ascend the keep) and three floors, the first two of which were open for us to visit. 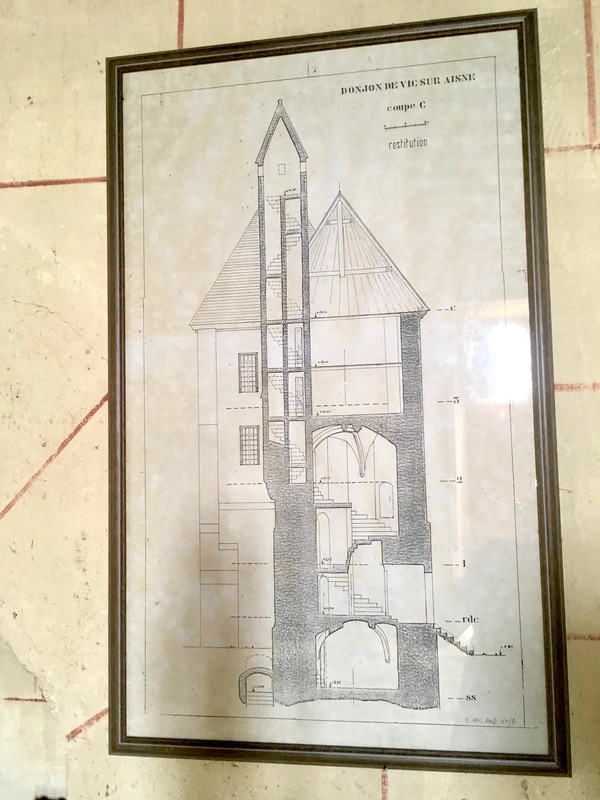 The plan of the main tower. 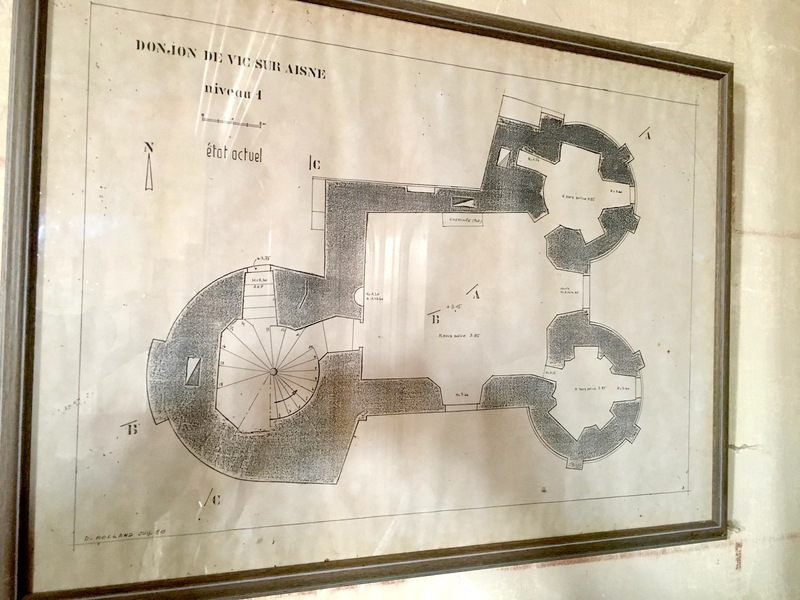 Layout of each of the three floors in the donjon. They are sparsely furnished, presumably to allow for flexibility for their events. 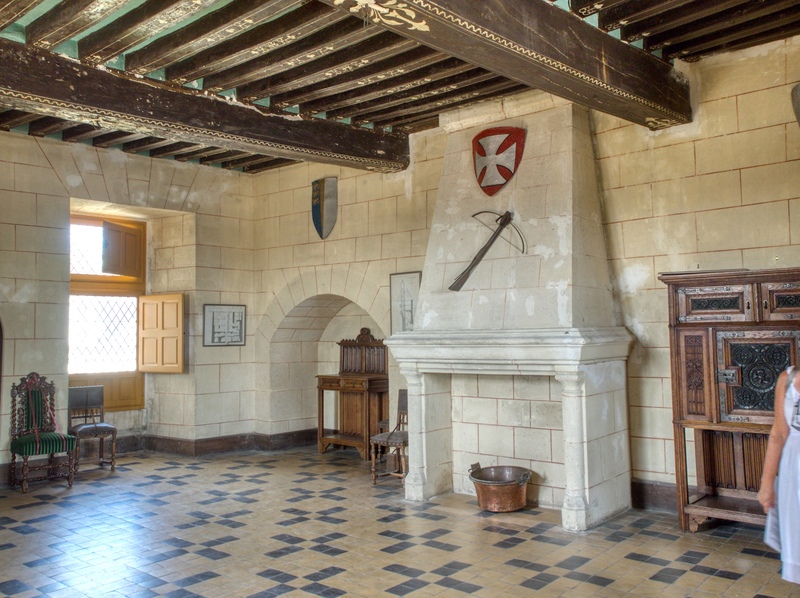 There are also small rooms in each of the two other towers. Not a lot of room, so you could understand the need for a large residence. 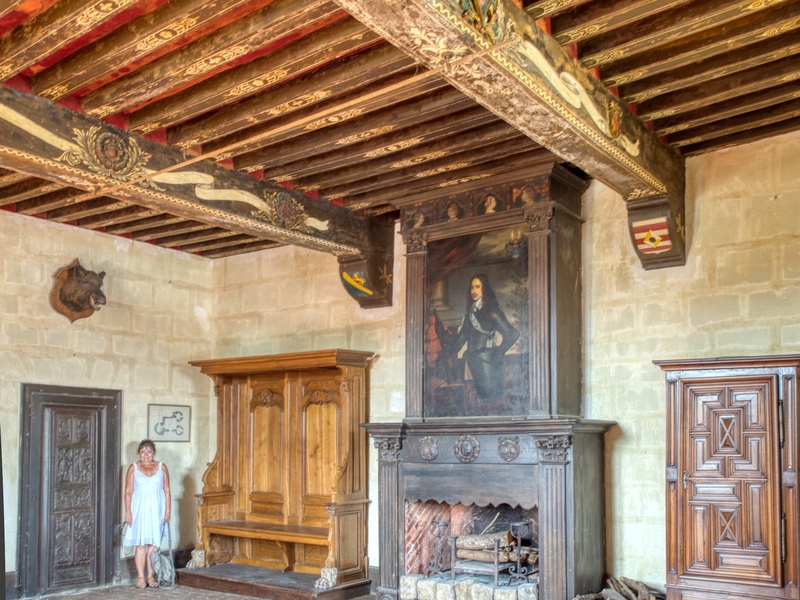 After examining the two rooms in the donjon we left and walked over to the château where we met the owner again. 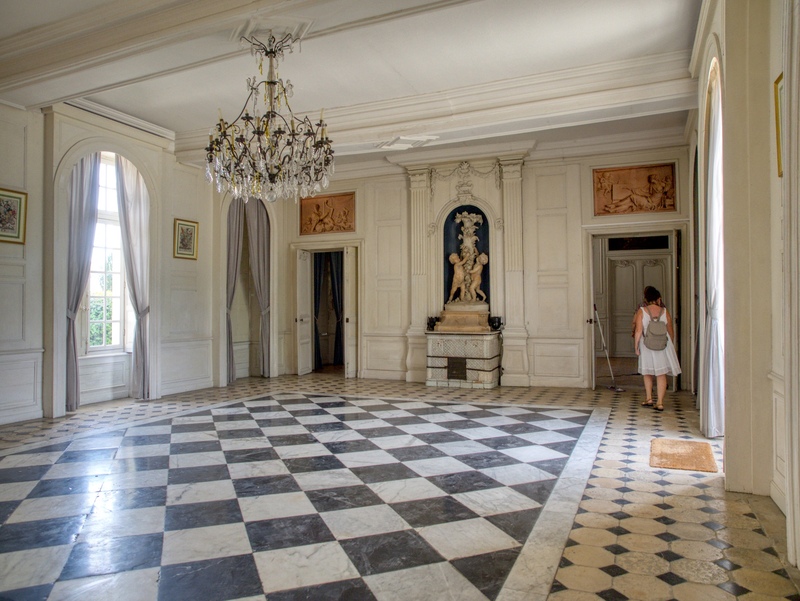 She took us through several of the ground floor rooms and told us a little about what they were doing to restore the place. It sounded like a tremendous, difficult task – good luck to them. Again, the fittings were sparse and, clearly, this was a work in progress but we could see that this would have been a fine building in its time. Leaving the building we walked through the gardens which had been laid out in the style of Le Notre (who designed the gardens of Versailles), although on a much smaller scale. 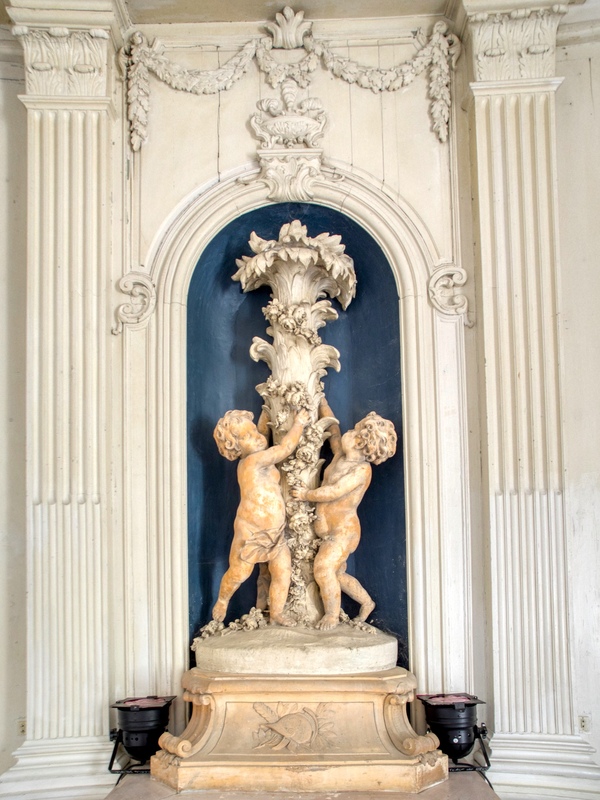 These were pleasant, well kept and dotted with sculptures. After a very satisfying hour or so, we saw ourselves out and closed the gates congratulating ourselves on our good fortune. Although the town was pretty, there was nothing else special we could find to visit so we hurtled down the hill to the mooring. 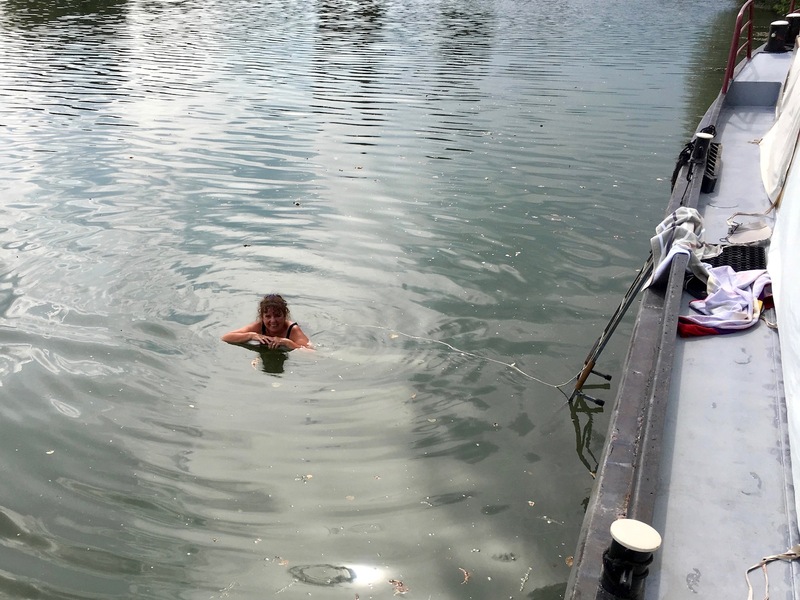 We took advantage of the heat and the quiet mooring for both of us to have a nice cooling swim. It’s a life buoy tethered to the boat – not Lisette! We could see the weather was setting up for a storm and the forecast was for thunderstorms and high winds. Recalling our experience in Chauny from a couple of weeks ago, we set about securing everything. While we were doing this, we met a fellow Melbournian, David, who was on board the cruiser Sundance – Melbourne, Florida! He was an American doing some single-handed cruising while his wife was off on some excursion. As usual we ended up spending the evening together on Catharina sharing stories (for many years he had been an engineer on nuclear submarines), knowledge about the areas we had cruised (he had cruised around the world) and listened to the storm, which, as it turned out, was a bit of a fizzer. 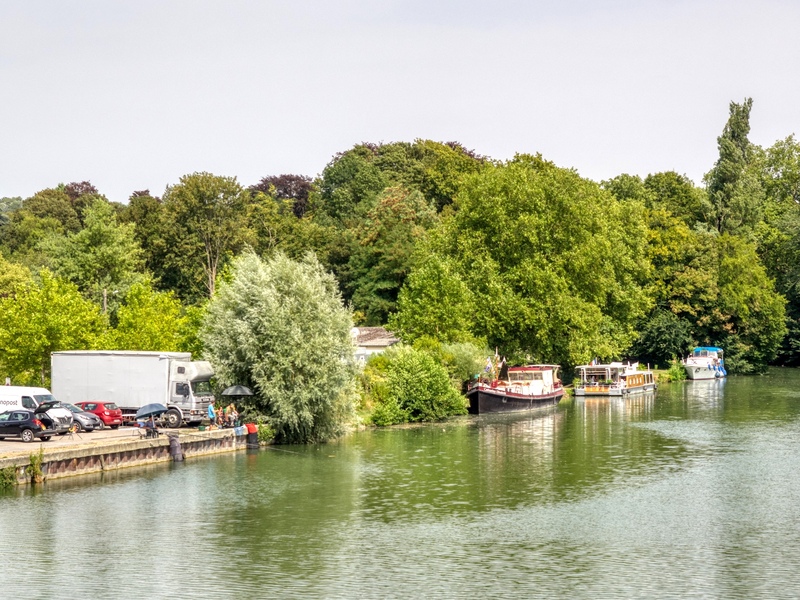 We had taken the opportunity to top up with water and decided that next day we would push on to Compiègne where we expected to spend several days exploring the town and the region around it. It would also mark the end of our diversion on the smaller waterways, much to our regret – it had been wonderful to slow down and to have the canals and rivers mostly to ourselves. The landscape had been marvellous and the sights we had seen at each of our moorings had been truly memorable. We could only tell ourselves that we would have similar opportunities for slow cruising on smaller waterways in the future and savour the prospect until it happened. Thanks for the map showing past and present itineraries . It’s a big help for someone like us who have not been to that area. Helps us remember the places we’ve visited by having to enter the names John! Judging by your blog, lots more to come Shaun!